Combines roof drain, flashing skirt and overflow. Incorporates 90 degree right angle outlet for shallow joist areas. 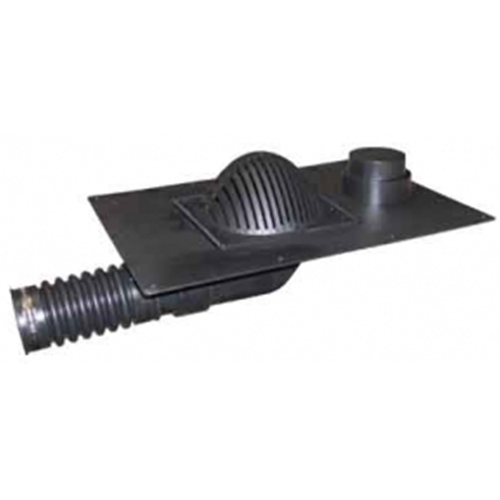 Includes nylon dome grate with screw kit, two expansion couplings and deck screw kit. Dimensions: Drain / Flange: 22-1/4" x 22-1/4". Drain Basin: 9-1/4" x 9-1/4". Overflow grate included. Made in U.S.A.